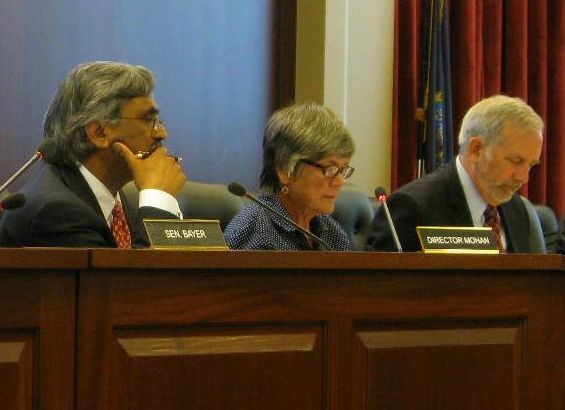 Wed., June 12, 2013, 1:29 p.m.
BOISE – Idaho lawmakers are unhappy that the state’s schools superintendent has resisted moves to add more school counselors to help boost the number of students going on to higher education. In 2010-2011, Idaho had 489 students for every counselor, above the national average of 471 and nearly twice the recommended national standard of 250 – which only three states meet. Washington’s student-to-counselor ratio is even higher, at 510. The recommendations to trim Idaho’s student-to-counselor ratio and add a statewide coordinator for all K-12 school counselors were made in a report from the Legislature’s Office of Performance Evaluations in 2012 as part of an array of moves aimed at encouraging more Idaho kids to go on to further education after high school. But state schools Superintendent Tom Luna rejected both school-counselor recommendations. The state Board of Education has set increasing Idaho’s dismally low number of students who go on to any type of higher education after high school as its top goal. According to the most recent figures from the National Center for Education Statistics, only Wyoming, New Hampshire and Vermont fall below the recommended 250-to-1 student-to-counselor ratio. Luci Willits, Luna’s chief of staff, said Wednesday that Luna stands by his response. She noted that the department tried unsuccessfully this year to persuade lawmakers to fund another position in the office, to oversee Indian education, that had been cut during the economic downturn; the department instead had to rely on salary savings to fund that position. The state Board of Education, since the initial report came out in January of 2012, has started a grant-funded, online counselor training program available to counselors across the state through the Idaho Digital Learning Academy. The grant lasts for two years; this year, its first year, 52 counselors enrolled in the initial round and 33 passed the course. “Continued use of the training resource at the end of the grant will be dependent on individual school district priorities and budget restrictions,” Tracie Bent, chief planning and policy officer for the state board, wrote in the board’s response to the legislative report. The follow-up report found more progress on other recommendations initially made in 2012. Those included revamping Idaho’s state college scholarships to focus limited funds more on need-based aid; legislation to do that passed this year. The state board and the Idaho Department of Labor also are working on collecting more data on scholarship recipients, tracking their progress and eventual employment, and strategizing to coordinate college-readiness efforts with the state’s workforce needs. The state board’s goal is that by 2020, 60 percent of Idahoans ages 25-34 will have some type of post-secondary degree or certificate. In the 2010 Census, that figure was just 35 percent. Published: June 12, 2013, 1:29 p.m.